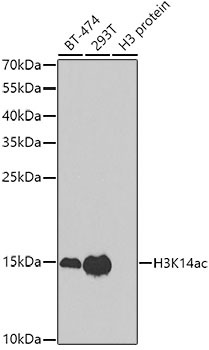 Analysis of enrichment of RNA polymerase II in GAPDH and MLH1 promoters by the ChromaFlash™ One-Step Magnetic ChIP Kit with chromatin extract prepared from formaldehyde fixed colon cancer cells. Captured DNA was used for analyzing levels of RPII enriched in the GAPDH and MLH1 promoters. The ChromaFlash™ One-Step Magnetic ChIP Kit is a complete set of optimized buffers and reagents, using a magnetic beads-based method, to carry out a successful chromatin immunoprecipitation for the selective enrichment of a chromatin fraction containing specific DNA sequences from isolated chromatin, in order to investigate the interaction between proteins and DNA in a cell. This kit can be used with the EpiSonic™ Multi-Functional Bioprocessor 1000 sonication device, or as a standalone kit*. With the EpiSonic, chromatin shearing and immunoprecipitation steps are optimally processed at the same time, reducing the entire procedure (from intact chromatin sample to ready- for-use DNA) to less than 70 minutes. * Standalone protocol without the EpiSonic 1000 is a 4 hour procedure. The fastest and most convenient ChIP method. The entire procedure (from intact chromatin sample to ready-for-use DNA) is less than 70 minutes with the actual handling time being less than 15 minutes due to simultaneous processing of chromatin shearing and immunoprecipitation ("One-Step ChIP"). Highly efficient enrichment. Enrichment ratio of positive to negative control > 200, and an extremely low number of cells required (as low as 5,000 cells per ChIP reaction). High reproducibility. Pre-optimized ChIP conditions and, with the EpiSonic 1000, digitally acoustic- controlled reaction processing in sealed vessels make the ChIP procedure consistent. See also a quick chart to compare ChIP kits. The ChromaFlash™ One-Step Magnetic ChIP Kit contains all necessary reagents required for carrying out a successful chromatin immunoprecipitation directly from chromatin extracts isolated from mammalian cells or tissues. This kit includes a positive control antibody (RNA polymerase II), a negative control non-immune IgG, and GAPDH primers that can be used as a positive control to demonstrate the efficacy of the kit reagents and protocol. RNA polymerase II is considered to be enriched in the GAPDH gene promoter that is expected to be undergoing transcription in most growing mammalian cells and can be immunoprecipitated by RNA polymerase II but not by non-immune IgG. Immunoprecipitated DNA is then cleaned, released, and eluted. Eluted DNA can be used for various downstream applications such as ChIP-PCR, ChIP-on-chip, and ChIP-seq. Fig. 1. Schematic procedure for using the accelerated protocol of the ChromaFlash™ One-Step Magnetic ChIP Kit. Fig. 2. Analysis of enrichment of RNA polymerase II in GAPDH and MLH1 promoters by the ChromaFlash™ One-Step Magnetic ChIP Kit with chromatin extract prepared from formaldehyde fixed colon cancer cells. Captured DNA was used for analyzing levels of RPII enriched in the GAPDH and MLH1 promoters.